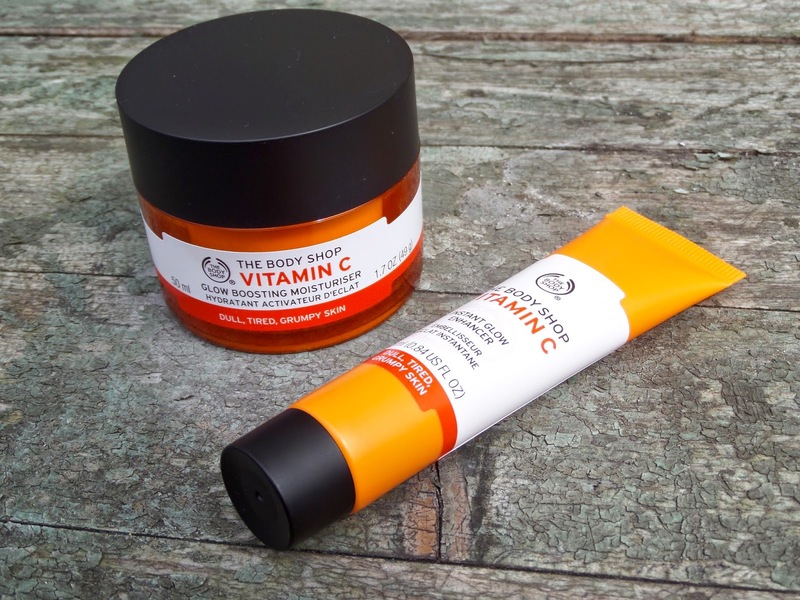 Vitamin C Range - The Body Shop. 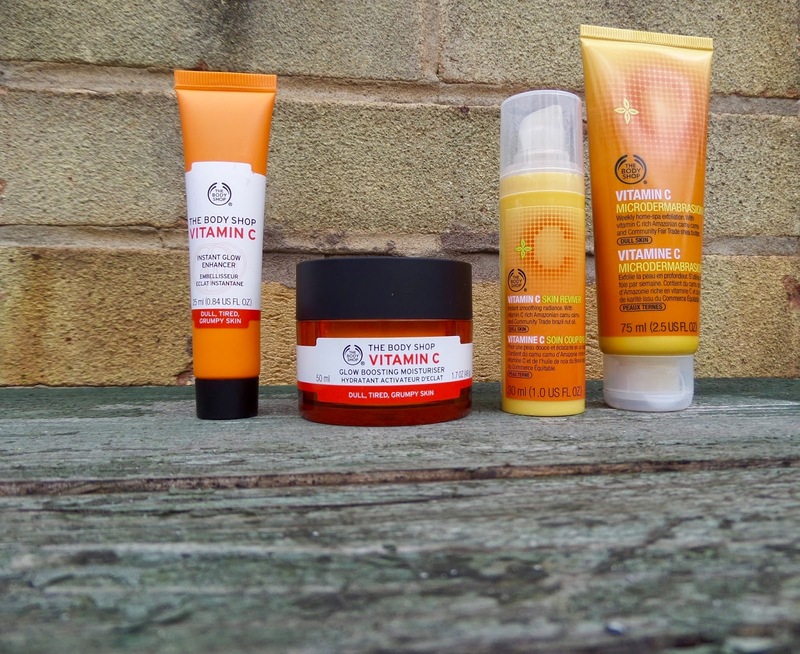 I adore pretty much anything The Body Shop has to offer and when I discovered the vitamin c range.. I fell in love. My new love affair all started off with this product, which is a true treat. 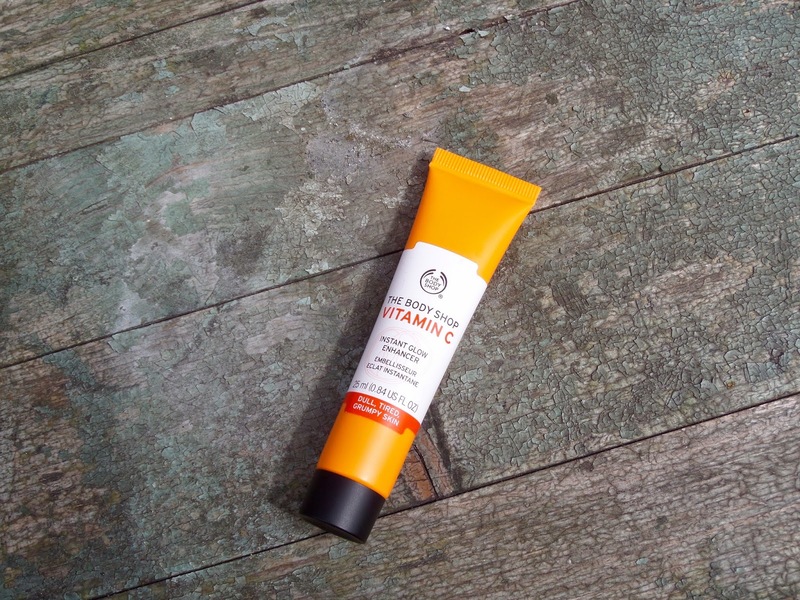 It can be used as a primer underneath make-up, or simply used alone. I tend to use it after the microdermabrasion, as I think they pair together perfectly! It makes my skin feel revived, healthy and glowy.. And who wouldn't want that? I'm a sucker for an exfoliator. I use this product once or twice a week, for a deeper cleanse. This is more of a harsher exfoliator than others I have tried, but leaves your skin feeling sparkly and throughly cleansed. A product for dull, tired and grumpy skin (They should've just labelled it.. 'A product for Vanessa!'). This moisturiser has a gel like consistency, and with only a small amount, you have more than enough to cover your face in its entirety. The actual product is a lovely peachy shade, which can be used as a primer underneath make-up, or just on its own. As with most, a little goes a long way and I tend to use this on its own, just for when my skin needs a little pick me up. There are various other products in this range and I truly can't wait to try them out! Have you tried any of the products in this range? I got both the new moisturizer and reviver the day they came out and have been loving them! I use the microdermabrasion as well, it's amazing! I'm a huge fan of the vitamin e collection but I think I might have to move over to this collection because the products sound great! I really want to try the exfoliator from this range! haven't tried this line.. but this looks perfect for summer!! Great review, lady! 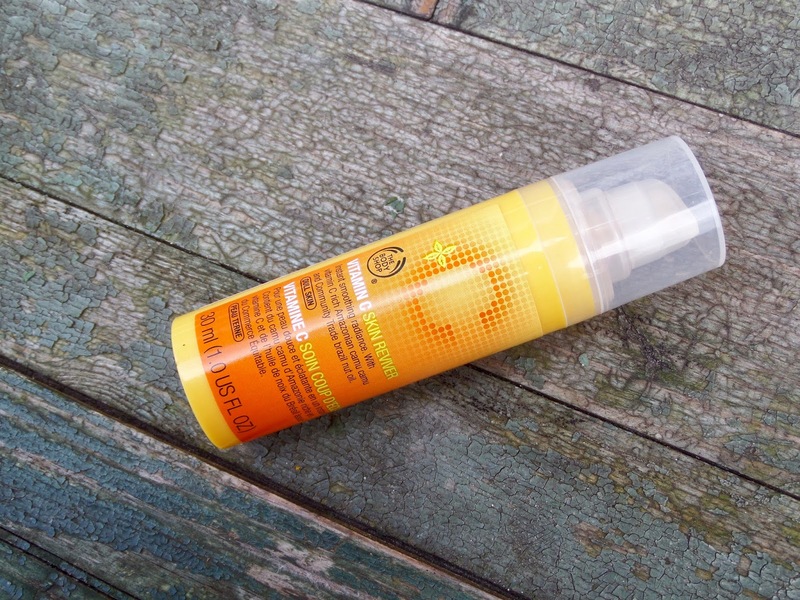 I love vitamin c in beauty products- really brightens! 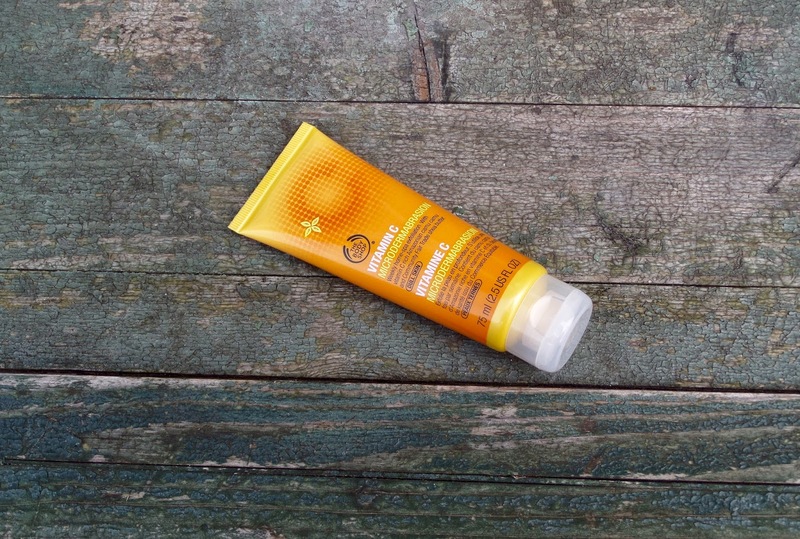 I tried the Vitamin C Skin Reviver before. I remember liking it a lot. The scent is very addicting. Its nice to see more being added to this range. 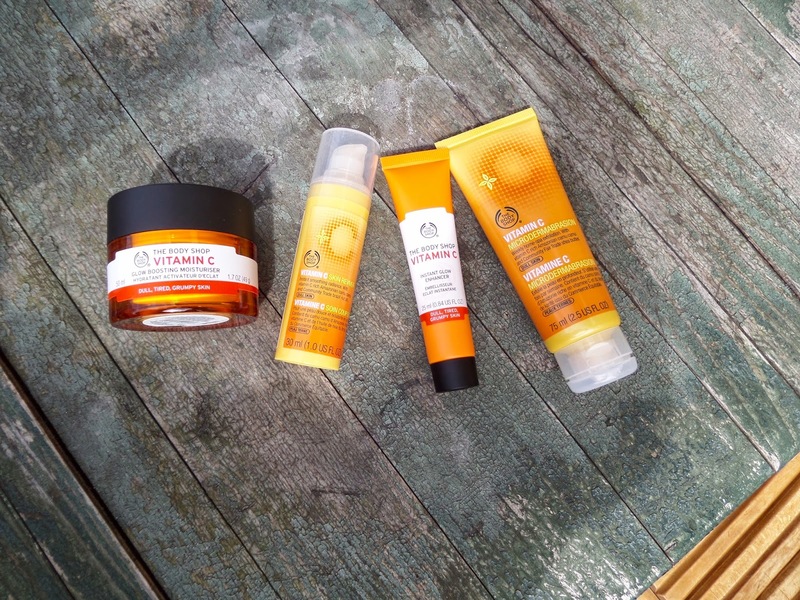 I really like the Body Shop skincare line, but I don't often think to buy products from there when I need something new. It's more of a "oh, there's a sale on so I'll get something" type store. I really should try this line out though; I've heard it's great fro brightening hyper pigmentation. I have the sample of the Glow Boosting Moisturizer, and I can't wait to try it, it seems perfect for me! These sound so good! 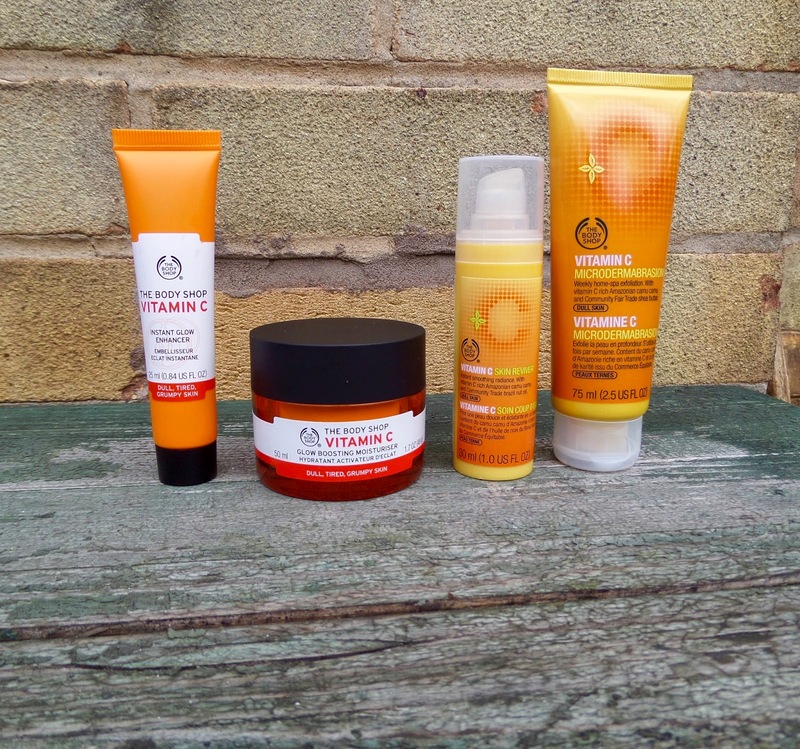 I love the Body Shop's Vitamin E range! 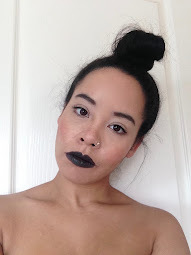 My name is Vanessa and this is my blog. I am a 5ft, chihuahua mum with a penchant for shoes, food and a tipple (or two) of gin.